Small and handy, this device is powerful for therapy at home or to attend the elite athletes in the field. Equipped with a handle , this great little macnie provides solutions “on the go.” You will be able to select the depth of the emission of energy in a superficial level, medium and deep, by choosing one of its three frequencies. It has a capacitive and resistive manual electrode. Capenergy models are designed to provide enough energy output to generate an optimal biological effect, while maintaining the safety conditions. All devices are equipped with an overloadalarm, which protects the equipment and the patient before any excessive of energy. Capenergy machines have a safety circuit that allows patients to monitor therapy. Frequency Selection: Yes. In need of therapy: 0.8 MHz. 1 MHz. 1.2MHz. Intelligent Channel: Yes. 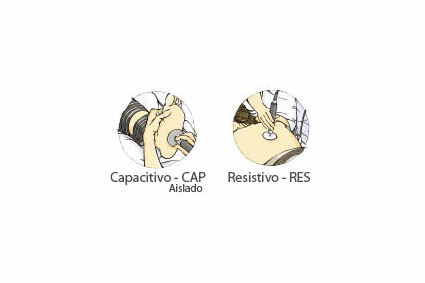 The same channel allows you to use the manual capacitive and resistive handprobe. 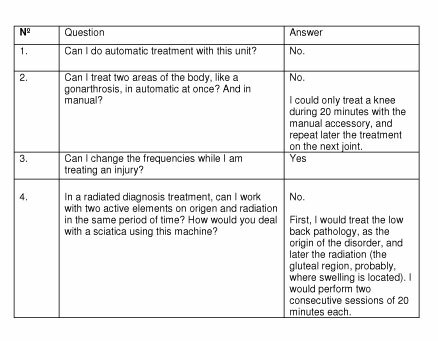 Option of Combined Manual & Automatic Treatments: No. Option of Bilateral Lymphatic Drainage –unattended–: No. Temperature Monitoring by Sensor: No. Suggestions of Treatment by Guided Program: Yes. (Athermal. Thermal. Highly thermal). Basic or Advanced Screen: Yes. Viewing Biofeedback Parameters (absorbed energy , qualitative indication of real-time power, coupling), to conduct clinical research: Yes. Hygiene Systems for Accessories: Yes: Protective membranes for manual capacitive handpieces.